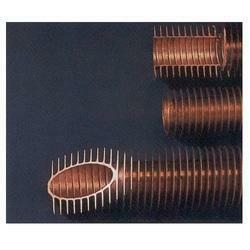 Offering you a complete choice of products which include copper nickel fin tubes, copper low fin tubes, 70/30 copper nickel tubes and copper fin tubes. Having a definite quality management system, we are regarded as the noteworthy manufacturer and supplier of an extensive gamut of Copper Nickel Fin Tubes. Extensively used in different heavy industrial units, the provided tubes are manufactured by utilizing the finest quality copper and innovative technology by our adept professionals. The offered fin tubes are tested on different quality parameters in order to ensure their quality. 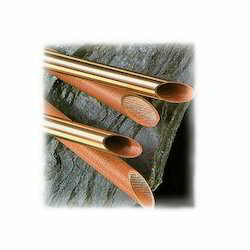 Our team of diligent members works in close coordination with clients to provide them flawless quality Copper Low Fin Tubes. The offered copper low fin tubes & coils are manufactured using excellent quality raw material and innovative technology in compliance with global quality norms under the supervision of quality controllers. Furthermore, clients can avail these copper low fin tubes & coils in different technical specifications from us at the most reasonable prices. Our organization has successfully expanded its business in market owing to the offered elevated quality array of 70/30 Copper Nickel Tubes. The offered nickel tubes are manufactured utilizing the finest quality raw material and progressive technology in line with industry norms. Moreover, our quality examiners test these nickel tubes to seek out any defect in them. We provide these nickel tubes in different sizes and designs at industry leading prices. 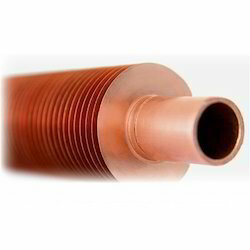 We are an acclaimed name engaged in offering our precious clients a superior quality range of Copper Fin Tubes that are used in several heat exchanger applications. The fin tubes are manufactured using high grade raw material and the latest technology by our skilled professionals. So as to ensure their quality, these fin tubes are tested on different parameters by our quality examiners. Keeping in mind various demands of our clients, we provide these fin tubes in different sizes and specifications. Looking for Non Ferrous Fin Tubes ?